The JP 7 Year Anniversary Stream took place early this morning and will set the tone for content being released in the upcoming months. Due to the fact that the JP server tends to be about 2 months ahead of North America, we can use this information to make informed decisions for our PAD life and Monster Box. This article/video will be highlighting the major upcoming buffs, evolutions, and Collabs that are on the near horizon. As such, one should use this information on where they plan to spend their Magic Stones as we will be seeing a return of Monster Hunter and Yu Yu Hashusho (YYH) Collab. The JP Stream announced 4 returning/new Collabs with Monster Hunter and YYH having already occurred in North America. This means there should be no reason why we would not experience them once again. On my YouTube channel, I often do First Impression videos of new content being released in JP in hopes of informing the NA player base to help us make better decisions moving forward. Generally speaking, we are 2-3 months behind JP for most events and being able to see into the future can help us make an informed decision as what to do with our Magic Stones and resources. As such, the Full Metal Alchemist is returning and we should be able to expect the same thing in the future as we did enjoy the Collab in the past. 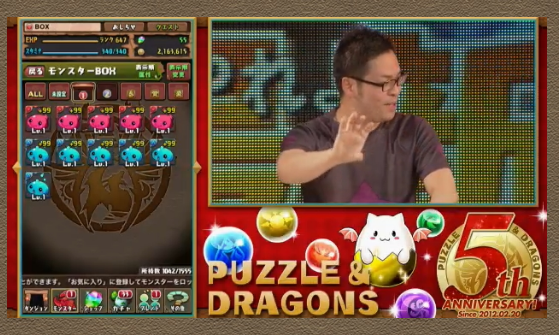 Furthermore, players will be able to utilize the Monster Exchange system to acquire and 6-star card. In essence, all cards received the ability to be Limit Broken and Super Awoken which dramatically improves their weighted stats and viability in solo mode. Unfortunately, this will mostly only apply to the top rarity cards who also received sizable buffs and a Weapon Assist form. Through their Weapon Assist forms, each gains more value as a duplicate and gives players more options if lacking key Monster Hunter inherits. In regards to buffs, the most noticeable one is to Edward who is able to gain a third 7 Combo as a Super Awakening along with buffing his Leader Skill from 144x ATK to 196x. This is a massive jump in both personal damage and team damage and should help bring him back up to speed with current top tier leaders. The Full Metal Alchemist revival grants sizable buffs to the top rarity cards along with being able to acquire them via the Monster Exchange. The main appeal of Edward is his team building flexibility as he can use any card while having a powerful damage reduction component. A more formalized review will occur when the cards are being released in North America. Let me know what you think of the buffs and changes in the comments below. On my YouTube channel, I often release First Impression Videos that summarize my initial thoughts on new content being released in JP if it is significant/meaningful overall. As such, I decided to chime in my thoughts on the new Dragonbound & Dragon Caller cards along with significant buffs to existing cards. While this video can be educational, it is also an indication that DBDC will be coming back to North America in 2-3 months. As such, it may be wise to save your Magic Stones as it is arguably the highest value event in Puzzle and Dragons. I forgot to mention that players can use the Monster Exchange to acquire 7* DBDC cards by trading in 5 rare Collab cards (7*+). This is an outrageously high cost and will not be applicable for the vast majority of the player base. With that being said, it can help those who have either been lucky or rolled excessively clean out their unwanted rare cards for something truly valuable. Let me know what you think about the new cards along with sizable buffs to Sonia, Ney, and Cotton. A 5 year anniversary for any game is a significant milestone and GungHo intends to make it memorable through a massive array of buffs, new evolutions, and quality of life improvements. I do not plan to comment on every single detail of the stream, but instead wish to highlight what I feel are more meaningful and how they can impact the player base. If you wish to read the full details, I encourage you to visit the puzzledragonsx posting HERE. Just bear in mind North America tends to receive any new changes about 2 months after JP does. Sorting/filtering the monster box has come a long way since the inception of PAD, but it still has plenty of room for improvement. The new Monster Box folder system will allow you to more seamlessly sort your box to show cards of interest. We will have an all folder, categorized, 2 custom, evolution material, awoken materials, and enhance materials folders. As someone who spends quite a bit of their time looking at their monster box, this will be quite an amazing update as it will better allow us to customize it to our liking or simply leave as is within the all card folder.